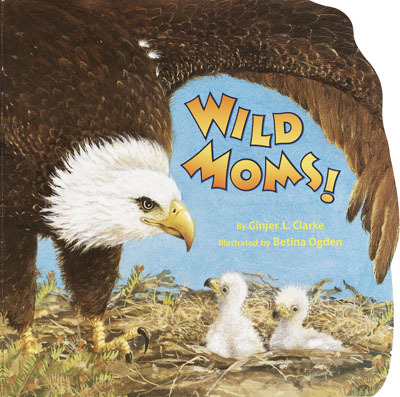 Home » Wild Animals » Wild Moms! A sea otter mom teaches her baby to crack open a crab. Meerkat moms send up a dust cloud to hide their babies from a hawk. This simple, sweet, nonfiction Pictureback is full of fun facts about animal babies and their moms. A great Mother’s Day gift, this will be a favorite read-aloud with preschoolers and their moms the whole year through!